Bangladesh army job circular 2019 has been published by the authority. 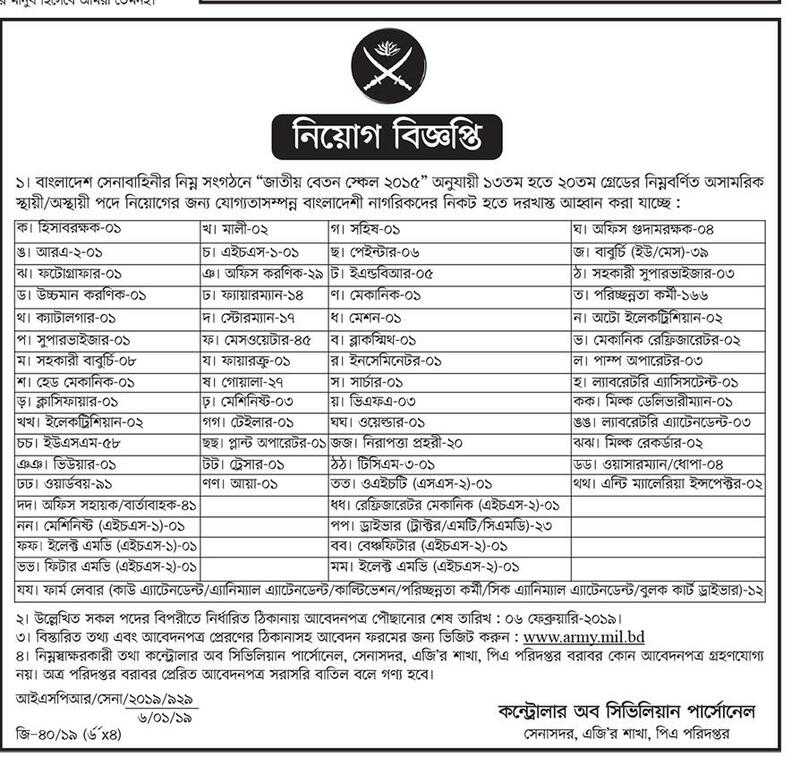 There are many categories in job circular that has been published. It’s a great opportunity to apply to this job. Because Bangladesh army doing special duty for our country. Bangladesh Army can expertly handle any dangerous situation in our country. Maximum people want to join Bangladesh army. But Bangladesh army wants to recruit young and energetic people. Bangladesh army is the largest land forces of the Bangladesh armed forces. Bangladesh army doing hard work for our country. 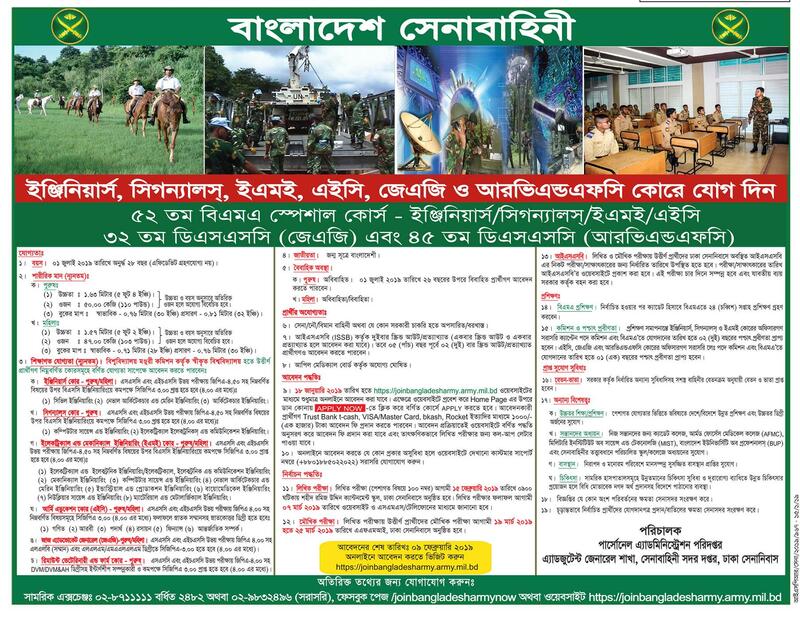 Since, Bangladesh army published job circular, in this case anyone can take this great opportunity and establish their career. on the other hand, for the second job circular to apply for that job, the educational qualification is too much important. If you want to this job in Bangladesh army, you should submit your application within short time. Bangladesh army job circular 2019 related all information has been found my website that is dhakanewstime.com. 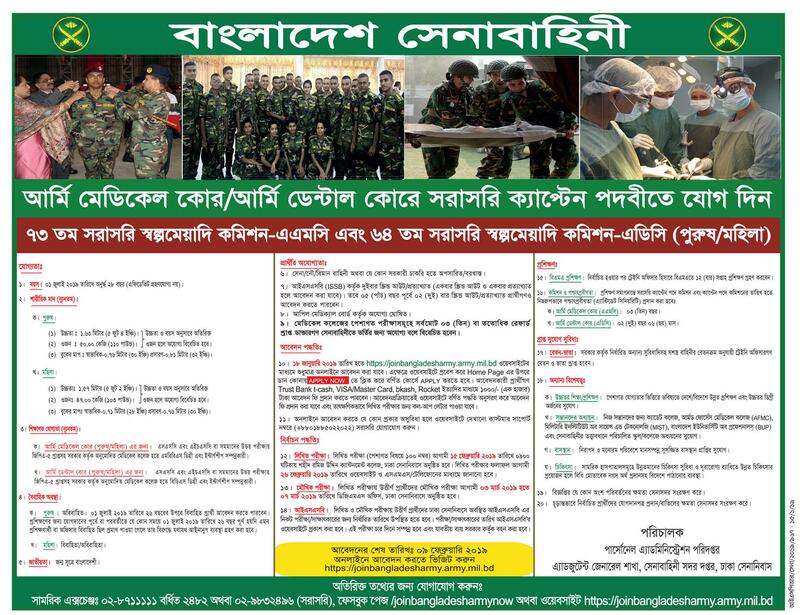 Bangladesh army has been released two job circular that converted to the image file for being all the people can easily read this job circular. Bangladesh army job circular 2019 & Bangladesh Army medical Core, Bangladesh Army 79 BMA Job Circular 2019 has been given below.